After personal suffering from fatigue issues for almost 20 years. Being told by the medical community that is "all in your head". And then going to a therapist and still not curing your illness. Is this still all in my head? My point is the medical community can do some great things, but still, don't know everything. Some times you have to go down the road of alternative and holistic healing. I have been told for years that my blood test is normal. But something is not working perfectly in your body. That is why I was tired all the time. These alternative healers seem to find issues that the medical community does seem to see or find. Maybe that is fixing it before it even is broke? After my personal experience with holistic healing, I have seen results! Some may say this is not scientifically proven. But the proof is in the pudding if you feel better and happier that is the proof that this works. 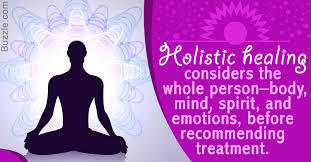 Not all Reiki master or holistic healing are created equally. You may have to experiment with different healers and modalities to figure out which one is right for you? A trend I am seeing in the industry, healers seem to be using a cross mobility therapy have better results. Why would this be so? If you use one type of healing your results are limited to that one healing type. If we include things like crystals, sound tones, aromatherapy, and energy healing we have more tools to heal the client deeper and better. Mickey StephanReiki: I am Certified as a "Usui Reiki Master/Teacher" and also a "Holy Fire II Karuna Reiki Master/Teacher"